Celebrate Soviet Victory over Fascism! 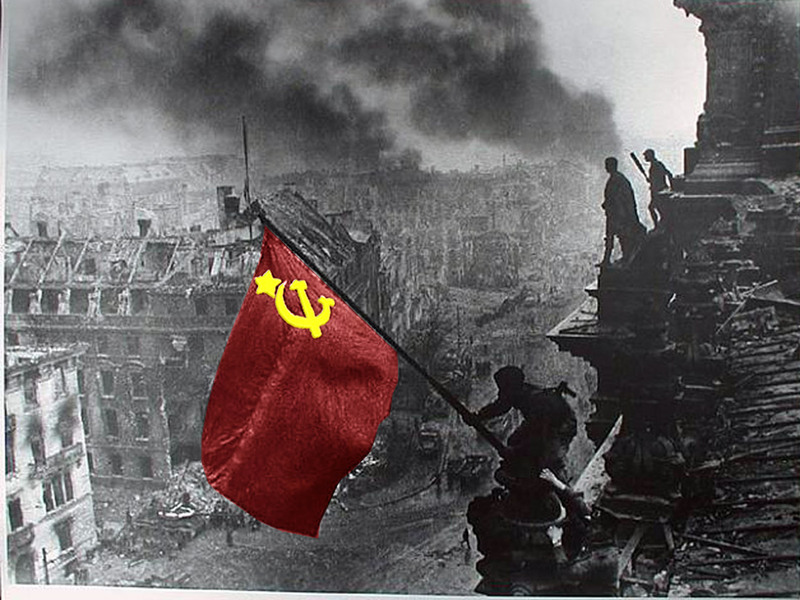 Today – 9 May 2015 – marks the 70th Anniversary of the victory of the Soviet Union over Nazi German Fascism; when the red flag was raised over the Reichstag by the victorious Red Army, while Adolf Hitler committed suicide in his bunker in Berlin. These are achievements of Socialism that we can and should all celebrate. Achievements that still show us that workers can vanquish the darkest armies of imperialism and build a bright socialist future based upon cooperation, and ending forever the exploitation of man by man and nation by nation. Socialism has never been more relevant and urgently needed by the workers of all countries, as the recession plunges ever deeper into profound slump and economic crisis of overproduction, and engulfs ever more nations into war – the capitalists’ ‘final solution’ for their economic woes, unless workers can avert the crisis by overturning this bankrupt system once and for all. Of one thing we can be assured, the financiers in the city of London and Wall Street will try once again to sacrifice tens and hundreds of millions of us at the high alter capitalist profit. This is what they have written on a roundabout in Stockwell, not far from where the SO19 armed police gunned down Jean Charles de Menezes in cold blood. Shot in the head in the “war on terror” – and Brazilian plumbers who we may or may not confuse with Pakistanis. What a farce, are our ‘freedoms’ in this UK police state. But 100 million were sacrificed in the last century to the capitalists’ insatiable god of mammon. And which of our ‘elected representatives’ remembers and understands the nature of capitalism today, as we slide into the next great world conflagration. Afghanistan, Iraq, Sierra Leone, Yugoslavia, Libya… How similar to the Nazi quest for lebensraum; the preliminary acts leading to the world wars. Another world is possible! Fight imperialism! Build Socialism! Why did 100 million die in WW1 and WW2? Real History of WW2 – fascism and communism are opposites! Hitler and Stalin – historical enemies representing the dark past (Hitler) and the bright future (Stalin), so why are we encouraged to treat them as if they were ‘the same’? Previous Previous post: Sick of the election campaign already? 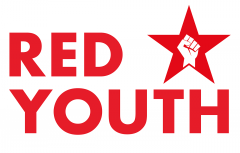 Join the struggle! Next Next post: CPGB-ML Pay tribute at the Soviet War Memorial, on the 70th Anniversary of the Victory over Fascism!